It wasn’t until my darkest time of despair, however, that I realised my understanding of these things was intellectual only, a mere grasp of the theory. A core part of me still believed, in practice, that they were all just synonyms – at least for myself. I could feel an enormous amount of compassion for others, and their failings, counseling them about the difference between the Church and the gospel. But somehow that didn’t wash for me. For me and my own standing before God, the Church equalled the gospel. Doing equalled being. And those thoughts nearly killed me. When my biggest crash came in 2014, it completely debilitated me. Previous episodes of depression had never done that to me. I had always been able to stay at work, to fulfill Church callings, etc. But not this time. This was different. This became a daily battle where keeping myself safe was the only thing I could focus on. And this deepest, darkest period lasted for nearly a year. I was released from my Church calling and home-teaching. I left my job. I couldn’t face attending Church – or even going out of the house – for many weeks. It was all just too much. For the first time in my life, I couldn’t say I was genuinely “active” in the Church. It was in the middle of this crisis that I remember sitting down to watch the first session of General Conference at home. And the first four talks all spoke about the importance of something I was no longer capable of doing. Providing for your family – nope, not doing that. Doing your home-teaching and serving in the Church – ah, no, not that either. And so it went. Talk after talk. It felt like all of the speakers were talking directly to me: and they were doing so with accusatory fingers pointing towards me. It was as if the Lord was using the conference to not just confirm to me how useless I was, but to magnify those feelings. If I already felt like I was clinging on to the edge of the abyss before that weekend, I was barely hanging on by the tips of my fingernails afterwards. I still can’t go back and read the talks from that General Conference as it brings those feelings flooding back to me. I should add here that my local Ward and Bishop were fantastic. I never once felt any judgment from them, or anything other than compassion. My Stake President was the same. No, the words of condemnation were coming from me, not really from anyone else. And I actually think it’s fairly easy to feel that way. We in the LDS Church have often been accused, rightly or wrongly, of being more focused on works than faith. “Faith without works is dead” (James 2:14). “It is by grace that we are saved, after all we can do” (2 Nephi 25:23). Do. Do. Do. Same words. Maybe a slightly different emphasis. Don’t get me wrong. Both faith and works are necessary. 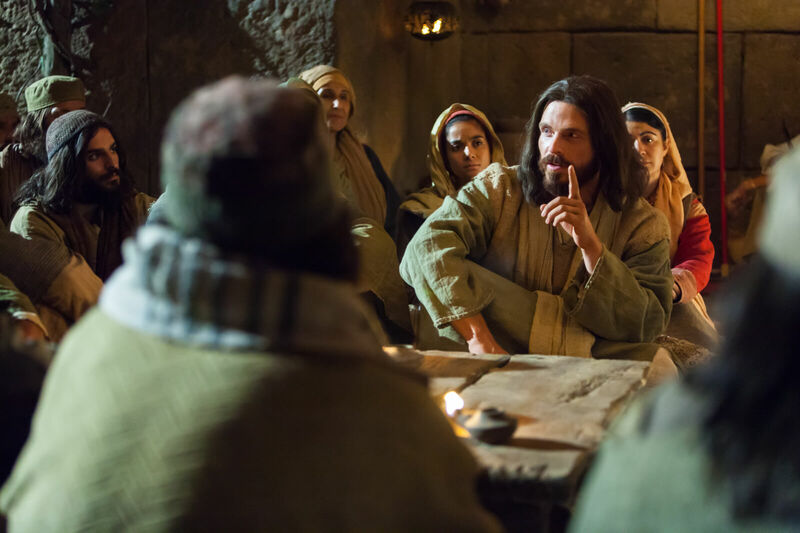 The Saviour castigated the Pharisees not because they were doing, but because their actions were without faith. They completely missed the point of their religious service. But service, including religious service, was still essential. Christ Himself was careful to observe the Law of Moses and the various religious practices prescribed by it. But the point of the law had always been to draw people closer to God and His Son. And it’s certainly true that we have a lot of wonderful sermons about the challenge to become, about the Church versus the Gospel, about how it is Christ’s Atonement – His grace alone – that saves us. But for me, these still feel outnumbered and outweighed by the sermons and lessons about the importance of doing. Some time ago we had a talk in our Sacrament meeting by a High Councillor, who was essentially preaching salvation by works. This embedded culture of doing – especially regarding Church activity and service – is mostly very positive. The Church is a wonderful institution. It is filled with good people. It is divinely appointed. The world would be such a better place if the teachings of the Church flooded the homes of families across every nation. To achieve that, we need to do what we can to spread the message; to build and uplift others. And we all need reminding of that from time to time. However, this cultural and doctrinal emphasis also means that those who are simply unable to do much – if anything – may often feel they are failing the Lord. That their lack of service defines their level of righteousness. That’s never good for anyone, but for one who is already in deep depression it can be catastrophic. But do you know what? Feeling that emphasis within me is wrong. Of course serving – doing – is essential. But like so many principles of the gospel, if taken in isolation it can become a harmful principle – distorting the truth into something horrible and punishing, rather than beautiful and uplifting. And distorting thoughts are something I am very good at already when my depression is severe. The bit of that quote that really hit home was the bit about trying. You see, when I heard those words, I immediately thought of my darkest times – the times when I could see no reason to continue with life. Indeed, when it seemed the best option for everyone around me was for me to end my mortal journey. And then I realised: even in that time of utter hopelessness, I had kept trying. With heaven’s silence impenetrable, I had still prayed, hoping, pleading that somehow, eventually, the Lord would hear my cries. Maybe my ‘trying’ was little more than to stay alive for a year, but I still tried. I never doubted the Church, or Christ’s atoning sacrifice, even when I felt there was no point – not for me. I tried. And like a beam of light directly striking my soul I suddenly also realised that when I stood before the Saviour in a coming day, and looked back at that period of my life, I would feel no shame or embarrassment. It’s true, I did very little during that time (and still don’t “do” much). But, boy I tried! With every ounce of strength I had, and even some I didn’t, I tried. My challenges now have evolved, as such things always do. My emotional state is improved somewhat, but my physical health has taken something of a nosedive. I now see my challenge as being finding something I can do to uplift others, despite my disabilities. There will be something. I can still keep trying. Only in that way can I honestly say I am being active in Christ’s gospel. This is such a good post and something I think a lot of people need to hear. I related to this a little, though my experience was a little different and definitely not as severe. I have social anxiety, and last year when my family moved into a new ward, I was having a really hard time feeling comfortable there, to the point where I started having panic attacks before church, which prevented me from going sometimes. I also turned down a calling and didn’t really do my visiting teaching. Thankfully, I was able to make some changes and start getting help I needed, and that period of extreme anxiety only lasted a few months, though it’s still a bit of a struggle. The message of this post really spoke to me. Thank you so much for writing it. I’m so glad you could relate to it at least a bit. I’ve experienced some anxiety, but never any panic attacks although I do have some family members who’ve experienced them. They can be devastating. Well done for getting through the worst of it! I hope things continue to improve for you. Wow Jeff. That left me teary. So beautifully and eloquently written with such emotion and truth. Love you! Thanks Debbie. Love you too! Is it possible to get a temple recommend when not fully active in church because of anxiety and depression? Hi Laura. I maintained my temple recommend throughout my period of ‘inactivity’, so yes it is possible. It does require you to have an understanding Bishop and Stake President though. My Bishop and Stake President were great throughout, and one way or another my Bishop kept up to date with what was happening with me. The relevant question in the temple recommend interview asks about us striving to attend our meetings. There are circumstances when any amount of striving just won’t make it happen, and that shouldn’t then be a barrier to gaining a recommend.